Courtesy of Tavares Strachan, all photography and video by Tom Powel Imaging. What Will Be Remembered in the Face of All That is Forgotten is a sculptural neon work by the New York City-based artist Tavares Strachan made between 2014-2015. The five-foot-tall piece includes pulsating neon that mimics the racing of blood through veins, stainless steel to hold the skeleton in place, and a total of seven transformers. The flashing circulatory system is a glowing reminder of English scientist Rosalind Franklin’s contributions to the field of science, mainly the discovery of DNA’s molecular structures. The work was originally included in the solo exhibition Seeing is Forgetting the Thing that You Saw at Anthony Meier Fine Arts in San Francisco, which examined individuals whose names have been omitted from common accounts of history despite their great accomplishments. Strachan, in partnership with LACMA Art + Technology Lab and SpaceX, also recently launched a sculpture honoring Robert Henry Lawrence Jr., the first African-American to train as an astronaut with NASA. Although Lawrence never made it into space, a 24-karat gold urn with his bust titled “Enoch” will orbit the Earth for seven years in a sun-synchronous orbit. 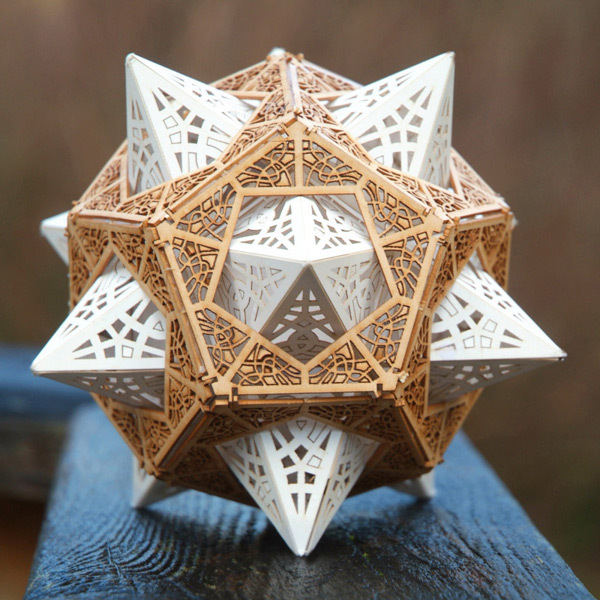 You can see more of Strachan’s sculptural work, and keep up-to-date on the location of Enoch, on Instagram. While in town for a shoot for Shanghai Photofairs this past summer, photographer Florian Mueller would wander through the city’s streets, meeting the owners of food stalls and other businesses that stayed open into the night. The series, Nightshift, observes the inviting glow that emanates from Shanghai’s after-hours operations in addition to showcasing those that staff the small shops during the humid evenings. Flowers, carbonated beverages, cell phone cases, and ripe citrus are just some of the illuminated items that appear in the suite of works. You can see more images from Nightshift on Mueller’s website and Behance, and follow his travels on Instagram. 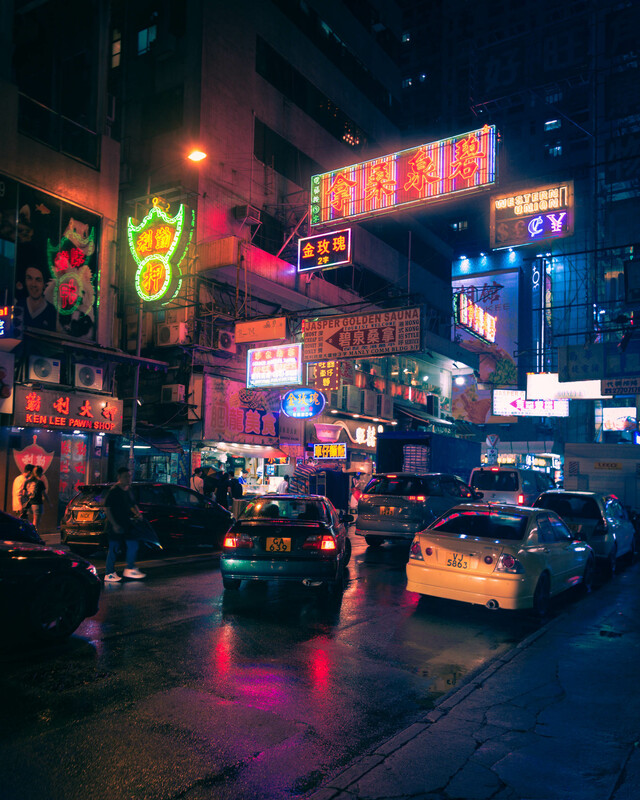 Hong Kong has long been infused with the glowing haze produced by its omnipresent neon signs and advertisements. Recently this saturated element of the city has begun to disappear as maintenance and rent costs rise and government regulation steps in. Local photographer Dennis Isip intends to preserve this aspect of his city’s history through a series titled The Neon Archives. After a visit to Tokyo in 2014, self-taught photographer Xavier Portela became frustrated by how static and two-dimensional his images appeared. His photographs didn’t capture the emotions, acute stimulation of senses, or electric feeling one experiences while gliding through the bright lights of a foreign city with jet lag-induced insomnia. To explore this vibrancy and atmosphere Portela began to manipulate the colors in his images, amplifying their saturation to make each reflect what the brain remembered, but the original image couldn’t convey. 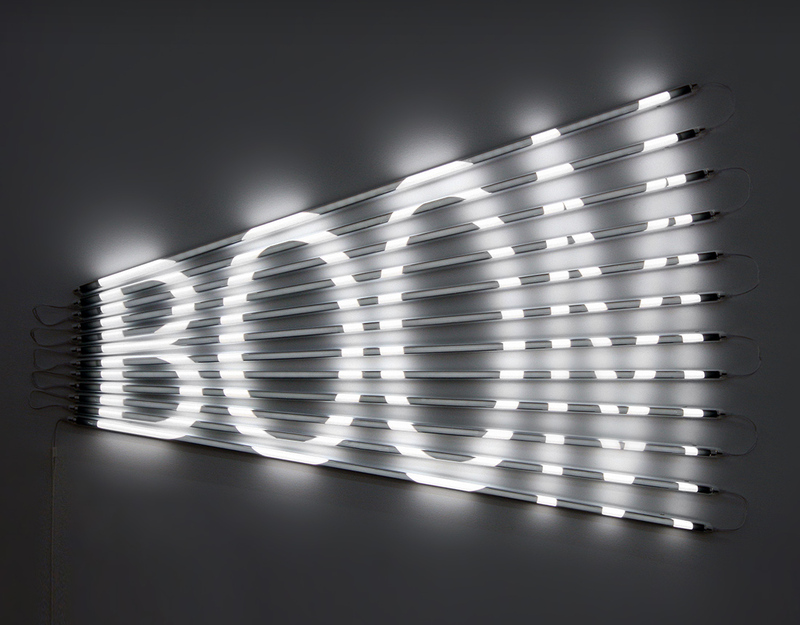 Artist James Clar creates sculptural light systems that interpret the ways modern technology has altered our perception of reality and time. His multi-colored works often imitate society’s relationship to the screen, such as in his work Increasing Resolution, which shows the rapid incline of digital resolution on our TVs, computers, and phones, or his 2015 sculpture Wheeeeeeeeeeeee! which expresses the loosening of language structures due to an increasing dependence on communicating through technological devices. “The majority of our daily experience and information comes from the artificial light sources of our screens and phones, shifting our habitat from the physical space around us to the non-physical space of online digital systems” explains Clar in an artist statement. Clar received his masters in interactive telecommunication from New York University. He has an upcoming solo exhibition at Jane Lombard Gallery in NYC later this year. You can see more of the artist’s work on his Instagram and website. Photographer and artist Slava Semeniuta, who goes by the name Local Preacher, recently noticed the glimmering reflective beauty of the streets of Sochi after an evening rain. As the artist tells Colossal, he had his camera handy and was able to “show the hidden beauty under our feet.” The series of dramatically-colored photographs isolates neon shop window reflections in puddles and potholes and transforms the captured moments into otherworldly landscapes. Semeniuta is based in Sochi, Russia, and shares his work on Behance and Instagram. Romanian-born artist Adela Andea creates futuristic light installations that range from wall-based works to immersive environments. The pieces appears as lit explosions, with LED lights, magnifying lenses, and flex neon springing outwards in a blend of chaos and control. Despite their composition of electrified material, each work is inspired by a natural phenomena. Andea looks to bioluminescent sea life, melting icebergs, and cosmological events to shape the composition and meaning of her large-scale installations.